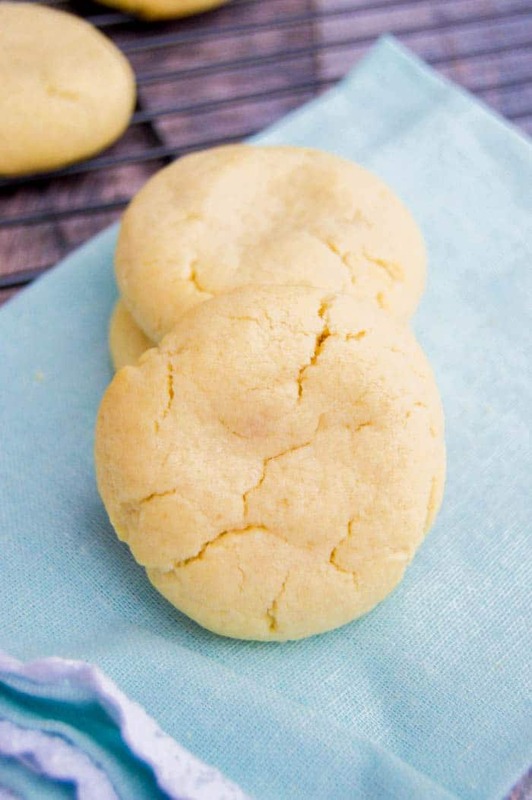 This sugar cookie is baked up soft and chewy and my all time favorite way to make sugar cookies. 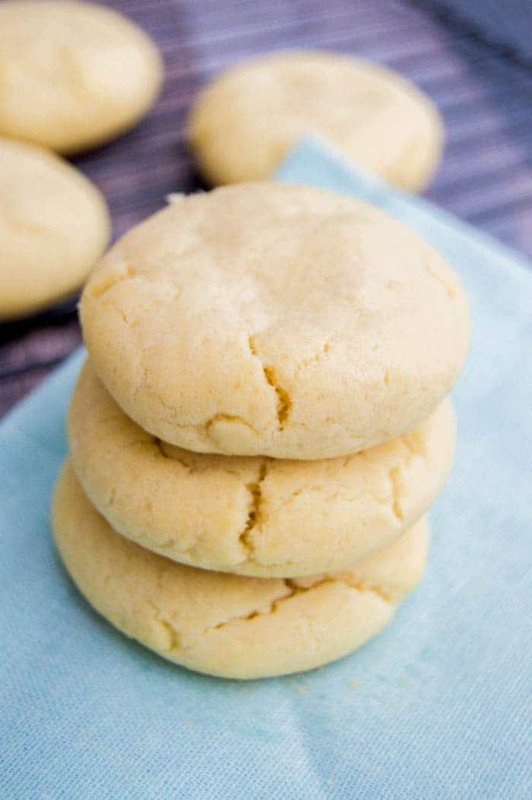 These Soft and Chewy Sugar Cookies are a must try. I’ll be honest with you the more chocolate chips in a cookie the more I enjoy it! Anything with chocolate I guess I love and even though this Soft and Chewy Sugar Cookies wouldn’t seem like my typical cookie I enjoy, I LOVE them! I mean I show no discrimination against cookies 😉 This sugar cookie is thick and fluffy and so yummy! 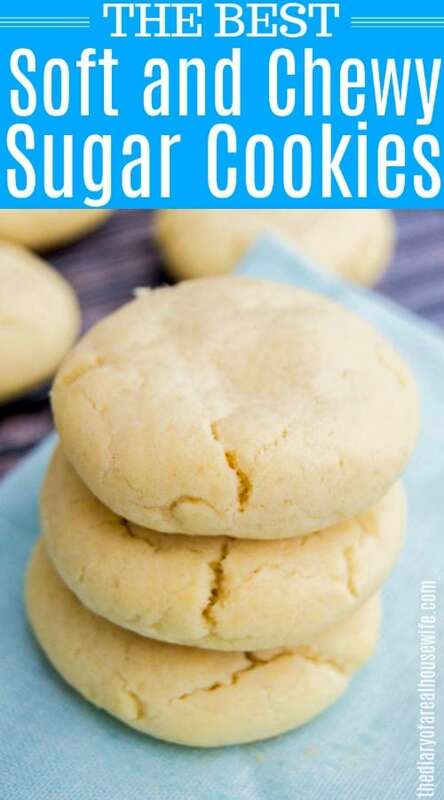 These cookie are simple to make and make in 10 minutes or less. I cooked mine for exactly 8 minutes and then allowed them to cool on a rack. Just 3-4 minutes after cooling your cookies should be set and taste amazing! Prepare a baking sheet and set aside. Slowly mix this in with your wet ingredients. Bake then serve and enjoy! Here are a few other desserts that I think you will love! Cheery Cheesecake Dip: Cheesecake is my favorite thing and this no bake dessert is perfect for dipping fruit or graham crackers. Edible Cookie Dough: No baking this cooking dough all you need to do is mix it up and grab a spoon. Bake for 8-10 minutes (I cooked mine right at 8). Remove from oven then allow to cool on the baking rack. Serve and enjoy! I don’t understand the 2 1/4 cup All-purpose flour 2 1/4 cup. Hi Emma, just looks like my recipe card was giving measurements before and after the ingredients. I went in and fixed it but it is just 2 1/4 cup for the cookies. Also, I just made these cookies and they are delicious!!! Thank you! I will definitly use this again! Awesome!!! So happy to hear that!